Pay attention to what you’re sending out to the Divine Universe today. What you put out, you will get back and that covers every area of your life. Be the beacon of light that can lead the way to healing. Allow your inner compassion and love to guide your thoughts and actions throughout the day. By sunset you’ll feel great about your choices, even if you don’t know their full impact yet. 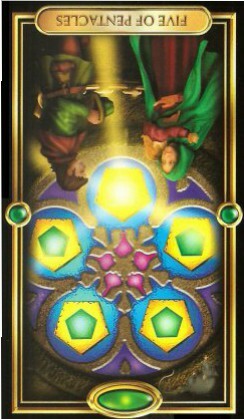 Today’s message is all about the importance of facing the day from the spiritual aspects of self. That pentagram symbol that makes up this wheel of life reminds you that each aspect of your day is impacted by your inner intent. The path you walk provides the stability of your world, how you handle things has influence on those you interact with. But how you think create the intent that governs the energy you put out to those around you and to the world/Universe as a whole. You can create an atmosphere of healing today. Something that is truly needed in your piece of the world. If you take a moment to take a deep breath and pull from the love and compassion you have within the center of your being, you can change the world. Even if it’s only your piece of the world. Allow your higher spiritual mind to shine. Get connected to that Divine presence you hold in your life. Allow yourself to be at peace and approach everything in your day from a higher perspective. “What is this moment teaching me today?” and “What am I to learn from this” are the two most important questions you should be asking. But ask them BEFORE you get mad. How you control your own moments of frustration and anger will dictate the energy you get back by the end of the day. If you allow every little thing to irritate you, it’s not going to be a good day. Take a moment to breathe and calm down. Center yourself and send out the negative energy you have within. The worry, the stress and the anxiety are not going to help you get through the tasks you face right now. Calm compassion (even if it’s only compassion for yourself and your situation) will help get you through the challenges; big and small. Take a moment to breath and stay calm. And you’ll end the day with serenity and celebration over a job well done and accomplishments achieved.